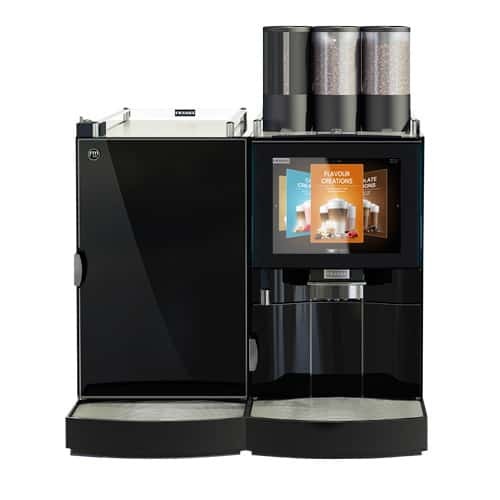 The newest coffee vending machine in the Franke range. Offering a premium class amongst coffee machines the FoamMaster™ it has the looks and offers superb coffee selections with the ultimate in fresh milk mixing and dispensing. 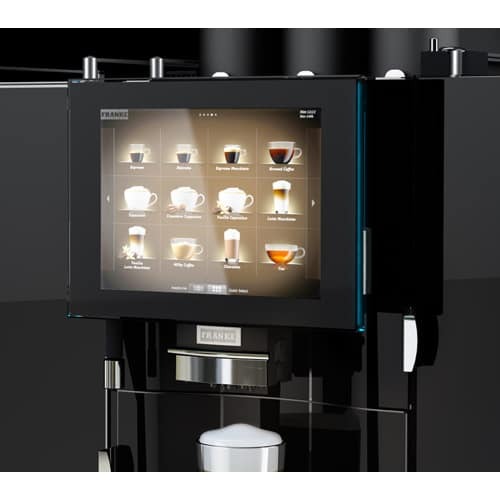 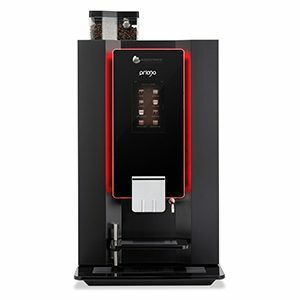 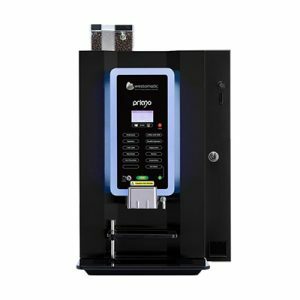 Superbly stylish, this premium coffee machine features a large touch sensitive display screen with a wide range of clearly displayed and enticing beverage choices. 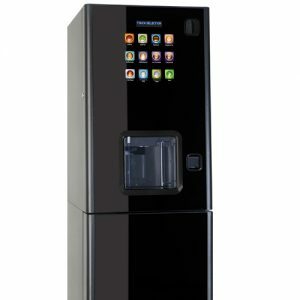 Perfect for clients or customers choosing their own beverages. 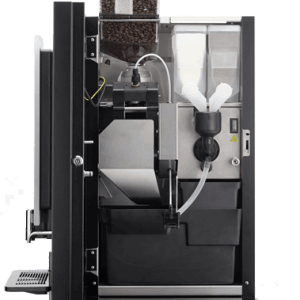 The FoamMaster™ system offers ‘barista’ quality foamed milk at the touch of a button. Differing consistencies, temperatures and much more is possible ensuring that every beverage is the perfect product each time. 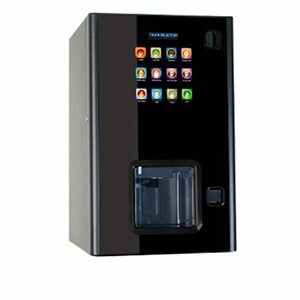 If it wasn’t enough that you’d get a great beverage but there is a virtually limitless number of variations possible to tailor that beverage. 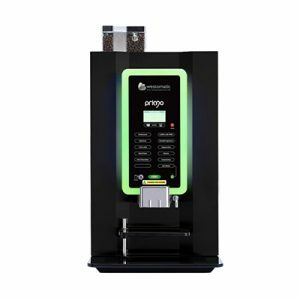 Adding on the optional ‘Flavour Station’ allows for additional dimensions to your coffee or milk choices with a range of syrup’s that can be infused in to your drink choice.